Did you know we also service European makes and models? Now Celebrating our 30 Years! We, at Jean's Auto and Alignment Service, are automotive service professionals you can trust! Our technicians are ASE certified and we use the latest tools and equipment when servicing your vehicle. Jean Vaillancourt has owned and operated the business for 30 years, and is on site to answer your questions. Jean's Auto and Alignment Service specializes in front end alignment and repair, as well as vehicle maintenance and "Check Engine Light" diagnosis. We take pride in offering our customers quality service and repair at a fair price. 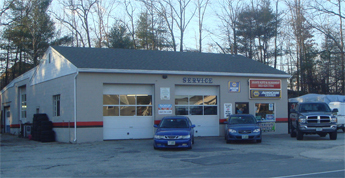 As a Napa Auto Care Center, we offer you a wide range of services including tires, brakes, exhaust work, A/C diagnosis and repair, NH State Inspections for safety and emissions, cooling system service and diagnosis as well many other services and preventative maintenance plans. We also specialize in European vehicle diagnosis and repair. We have experience with Audi, BMW, Mercedes, Volvo and Saab as well as other European makes. Whether it's timing belts, brakes, electrical repair or complex computer control system diagnostics, we have the tools, knowledge and skill necessary to fix it right the first time. Don't trust your high-line car to just anyone! We hope to be able to help you soon!